Oooh, she has such a pretty gentle face! Your painting is done so well, I can hardly believe it's your first doll! Thank you so much Hasel! I hope to improve quite a bit, hopefully in the joint area, lol! 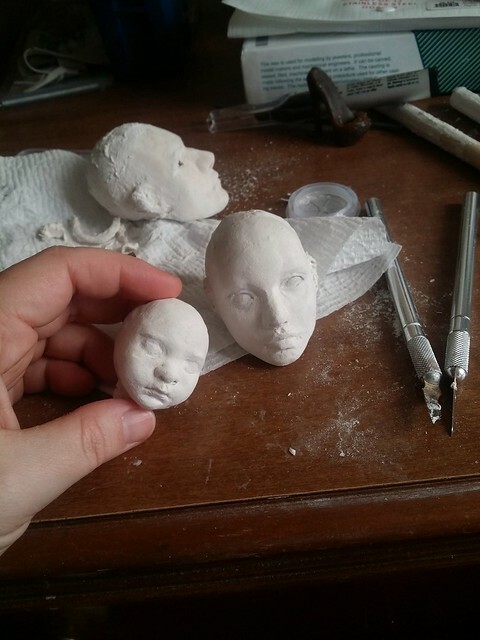 I feel like my sculpting can be a lot looser now that I've gotten the 'mysteries of doll making' behind me. The first time around seems to be just a lesson of how many things you can do wrong, haha! New year= New dolls! I have a little family started! 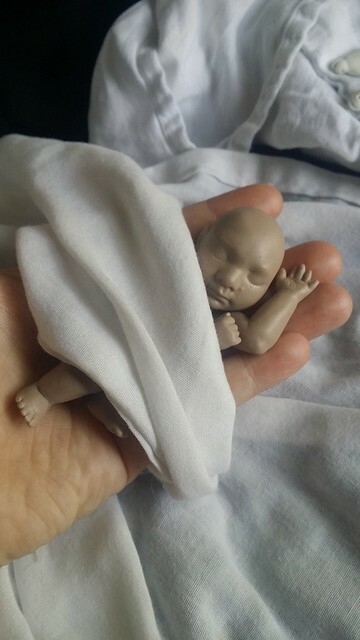 The baby will be easier, I'm just giving it a cloth body so it can be squishy, no joints! But my male doll, eeesh! I know it will be a challenge trying to keep him masculine and not get too curvy...should be fun! Also, new female face sculpt with pouty lips! I LOVE pouty lips - a massive weakness of mine! I looking forward to see your family creations! I'm looking forward to seeing your family creations too! Looking great so far, and well done for completing your first!!! 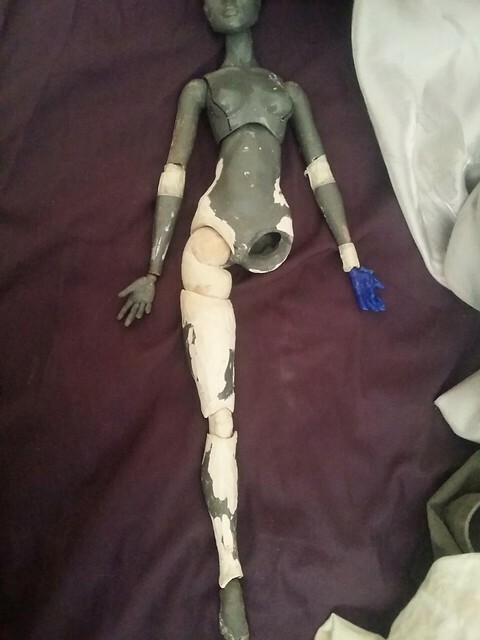 Working on some new legs and joints! (an artists work is never done.) 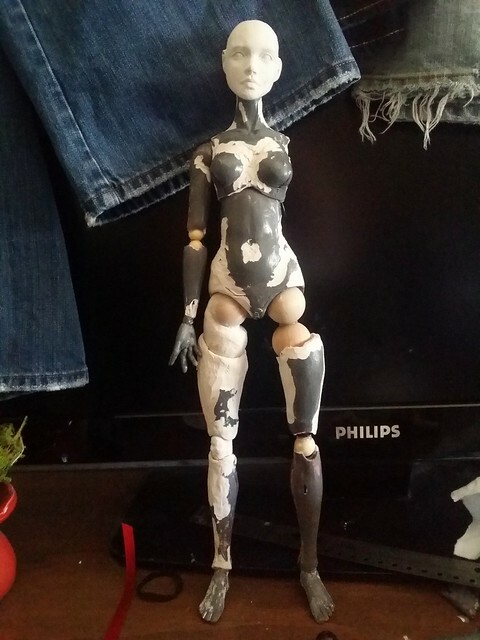 I was unhappy with my legs and joints ever since getting my girl assembled. So I'm changing everything. Wish me luck! I was just going to change the legs and elbows...oops! Total body revamp. It's really interesting watching your progress! I'm looking forward to seeing her finished! Thank you Allurose and Bibarina! I feel like she is a lot more solid and proportionate now. Already, the new joints are so much easier. Yes! I totally agree!I should have done them from the beginning! I got inspired watching Crimson Peak. Creepy but beautiful. I've always had a passion for Victorian themes, so I figured this would be a great opportunity to do a fun character sculpt while still coinciding with finishing my original male sculpt. It is so difficult sculpting a likeness. I am enjoying the challenge though. Very, very in progress, I've been fiddling with that head for the past 2 days and still have a ton of work to do on it. It's amazing how such tiny details can throw the whole thing off. Darn you Tom Hiddleston and your handsome, angular face. 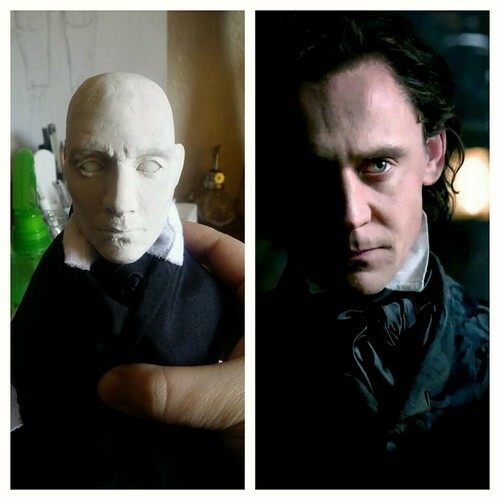 He will be amazing in porcelain, and I can't wait to make a tiny Victorian suit! I'm hoping to have him completed by summer. I've been working on all my little babies. They will be so tiny when fully fired! 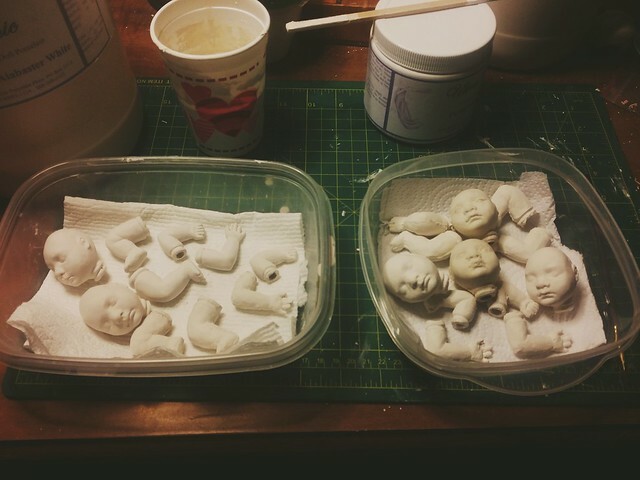 Also, I've finished all my molds for the revised female body sculpt. I don't want to see plaster for a long time. 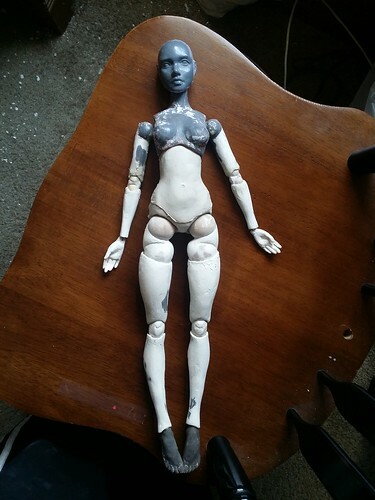 New body in porcelain, finally! 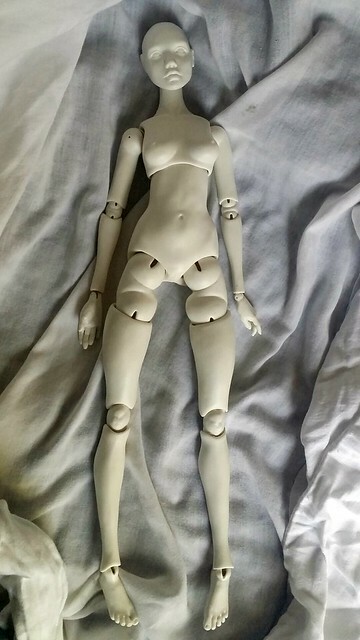 I am in love with her new joints, I can't wait to pose her. She has a few tiny cracks, but that's my fault. I knew there were some weak spots but was hoping they would just miraculously go away. Every doll is a lesson on what not to do, lol. Hopefully soon I can get everything perfect! Also, here's my tiny porcelain baby! You can see a couple little bubbles on her face, I under-fired a tad bit. I can't wait to start painting!